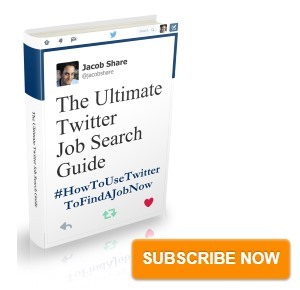 Take a first look at the 2011 edition of The Ultimate Twitter Job Search Guide, which is almost ready. This is the second of a few announcements I’ll be making over the next few weeks about what I’ve been working on for JobMob moving into 2011. The next announcement will arrive Wednesday, April 27th. 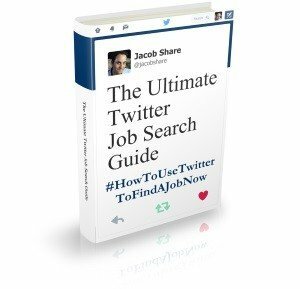 This ebook will tell you everything you need to start finding jobs on Twitter right away. To get you excited about what’s coming, here’s your sneak preview. Be first in line to get a copy of this easy-to-follow, tip-bursting, trend-catching ebook by subscribing to the JobMob® Job Tips Newsletter, whose members will get FREE copies before anyone else. Know anyone else looking for a job? Share this sneak peek with them so they can also be on board first. With a few million of users and growing, why are there still so many people who don’t get Twitter? By the end of this article, you will get it and know how you could be using it. Ouriel Ohayon is one of the biggest bloggers in France and in Israel. An Internet entrepreneur-turned-venture capitalist, a lot of technologies are paraded in front of him. As an early adopter of many of those technologies, you might think he would be quick to jump on something like Twitter but that wasn’t the case. Hey there! jacobshare is using Twitter. Twitter is a free service that lets you keep in touch with people through the exchange of quick, frequent answers to one simple question: What are you doing? Join today to start receiving jacobshare’s updates. If you can get past the horrible “what are you doing?” you’ll notice that Twitter refers to subscribers as “followers”. If you subscribe to someone else’s Twitter feed, you’re “following” them and vice-versa. You know what though? Twitter can still be a useful job search tool even if you don’t have a Twitter account. Read on to find out how. This post is still current.